My friend Scott and his wife will be joining Jeff and me on a trip to E Street. I don't know how Scott made out with his ticket try but Jeff scored some decent tickets to the Milwaukee Bruce Springsteen concert. HOORAY! I had two browsers and the phone going but Jeff still beat me with the better tickets. I've seen Bruce 3 times with the E Street Band and 1 time with the Seeger Sessions Band. Twice I've gone with Scott. The last E Street concert was the last time I saw him - that is pretty bad as it was in 2004. I'll be glad to catch up with him and Kathy in March at the latest! Oh Sassy, I haven't seen Bruce with E Street since 1985!!! The "Glory Days" I like to call them (heh heh). Have fun! The one and only time I ever saw the Boss was at the NY Coliseum in 1980 and he jumped off the top of a 2o ft speaker and landed in the audience- it was breathtaking! He and Clarence Rocked the House!!! I love "Candy's Room"- its one of my favorites. Be sure to take pictures when you go to the concert! How great to get tickets--I hope you have a blast! We had to have seen each other since then, right? Didn't we go to a movie or something? I'm thinking it was Mayfair. Thanks for scoring the tickets, I am so psyched! It will be my 5th time seeing The Boss as I first saw him on Election Night in 1992, once on the "reunion" tour, and twice on the Rising tour which had to have been the best show I had seen. I like the new album and so I'm hoping for a good show. If I could have any influence on the set list, I'd request that Bruce play Backstreets as I have yet to hear that one live, but I think I've heard everything else off of Born to Run live. I think I've heard all my other "must hears" in concert. 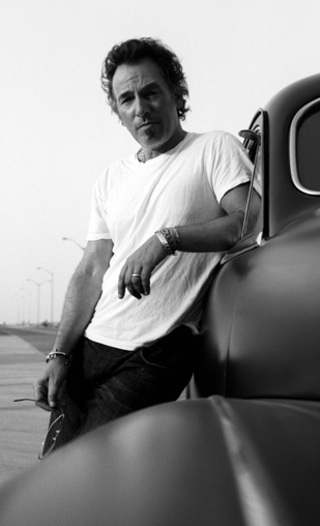 www.bruceSpringsteen.net has all of his set lists.